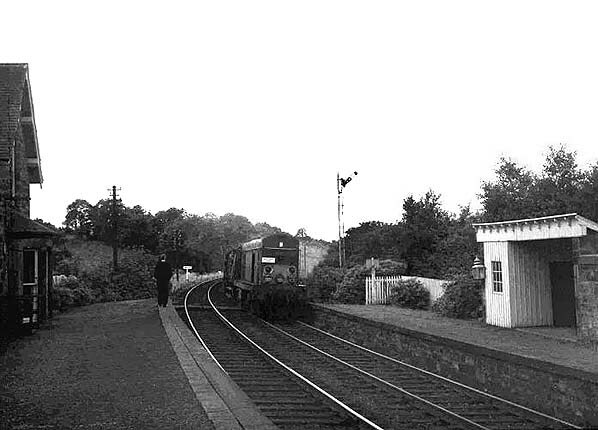 The Langholm/Newcastleton pickup freight from Kingmoor heading north at Penton station in August 1967 behind an EE Type 1. The train has an additional brake van in tow carrying a group of enthusiasts marking what was supposed to be the freight's final trip. As it transpired the service was reprieved a further twice due to complications with local coal contracts..